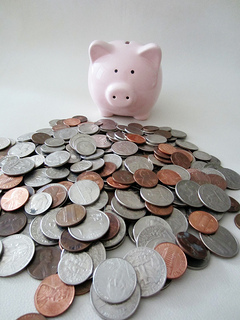 Teaching teens about money is so important, yet it is often pushed aside and not dealt with. According to a shocking survey by Northwest Mutual, 43% of parents said they didn’t feel capable of teaching their kids about money. The teenage years are so important to understand finances and to start learning more about money. Teens are able to earn their own money, spend money, and start making financial decisions on a daily basis and long-term financial decisions. What you teach them now will dramatically impact what type of decisions they’ll make as adults when it comes to finances. Here are some ways to teach them about money. Let them help plan a day. Tell your teen they can plan a day’s activity with a certain amount of money. This is especially a great idea if you already have a vacation planned. Let them choose everything with certain stipulations you set such as, it needs to include a lunch and dinner. They may enjoy the idea and freedom of getting to choose activities and places to go, but they’ll also be learning how to stick to a budget and how to make responsible choices. Encourage them to get a job. When I was in high school, I used to want to keep up with my friends and buy nice clothes and purses. When I got a job in high school and started earning my own money, I started to think twice about wanting to spend all the money on these items. Once you are working for your money, you realize the value of it. The earlier teenagers start working, the earlier they will start learning about saving, spending, budgeting, and managing money. Having a job is a huge lesson in financial responsibility and helps them learn about filing taxes , getting a paycheck, answering to a boss, and balancing a schedule. Some parents are against having their teens work because they want them to focus on school or extra-curricular activities. If that is the case, they can still learn how to balance money. Give them a set allowance . Make it clear for both parties what you as the parent will pay for, for example you will pay for their school lunches and a certain price limit on clothing. Then, let them manage how they will pay for going out with friends and extras. Give them a set limit for each month so they will have to learn how to manage the money, keep track of what they’re spending, look ahead to what they may want to save up for, and how to make the best financial decisions. Have them keep a money journal. Encourage them to keep a money journal to write down all money coming in and all money going out. Let them keep track of all the money they spent. Keeping track of every dollar allows them to see how quickly money can go. Everyone should keep track of their spending, but this is important with teens since often their small purchases can add up. A slice of pizza, filling up the tank, and a new outfit may not seem like a lot, but they add up over time. Let them see what they are spending, and then talk with them on how they can cut costs. Let them see how you keep track of your finances. Let your kids see how your finances run. Teach them about paying bills , balancing a checkbook, writing a check, paying bills online, and credit cards. Let them get used to making a budget and learning how to stick to it as well as how much it takes to live on your own. Be sure to talk about the dangers of running up credit cards, debt, and how interest rates work . Talk about their financial goals. Take time to talk with your teens about their financial goals. They should have short-term goals like buying a new outfit, having more money to go out with friends, or buying a friend a birthday present. They should also have long-term goals like saving for a car or attending college. Start talking about college immediately. It’s never too early to start talking with your teen about college. They should start thinking about what they want to major in, what they are looking for in a college, and what they want to do about college and for a possible career. But, they also need to understand what the financial impact of college is. Whether you are helping them pay for it or not , they should understand what it will cost and how that cost will change dramatically based on where they will go. For example, a community college is a very affordable option to get some preliminary classes out of the way and allows more time to think about what they want to do. Going to a private school is much more expensive than public school and out-of-state tuition can be significantly higher than in-state tuition. Go through various scenarios explaining what each will cost and what they will owe when they are done with school. When you are figuring out how much various schools will cost, factor in what the dorm costs or off-campus housing, the average costs of books per semester, other fees and expenses, costs for commuting and other expenses, and other supplies. Explain to them how student loans  work and about repayment  and interest rates. Also, encourage them to immediately start searching for scholarship opportunities to cut costs. What are good ways to teach teens about money? How can parents talk to teens about money and what should teens know about money?